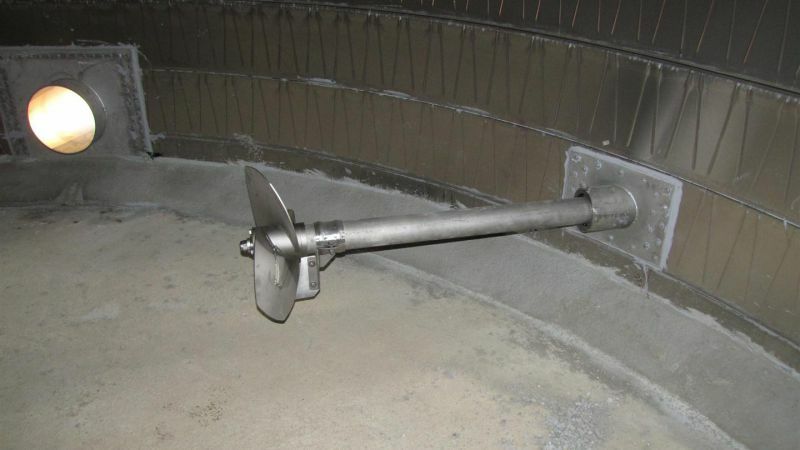 Digonal/Inclined Side Entry type Agitators/Mixer are specially designed to work in the aggressive/ harsh environment inside the Digester, with the propellers manufactured with the help of special tools that ensure millimetre angle accuracy blade after blade. Electric motor-driven mixers are designed for work in the explosion hazard environments of EX Zone 1 or EX Zone 2. 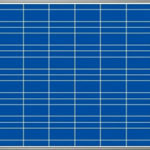 All components, including the sealing membrane (Gastight) for drive Shaft, are UV-resistant. The propeller mixer is fitted from the outside. 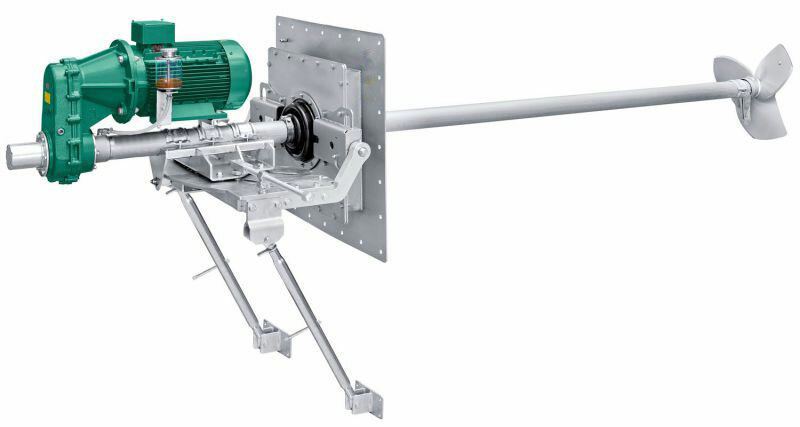 Propeller mixer is supported by two top links or optionally by rack-and-pinion jack and can be set step-lessly to any angle of inclination. 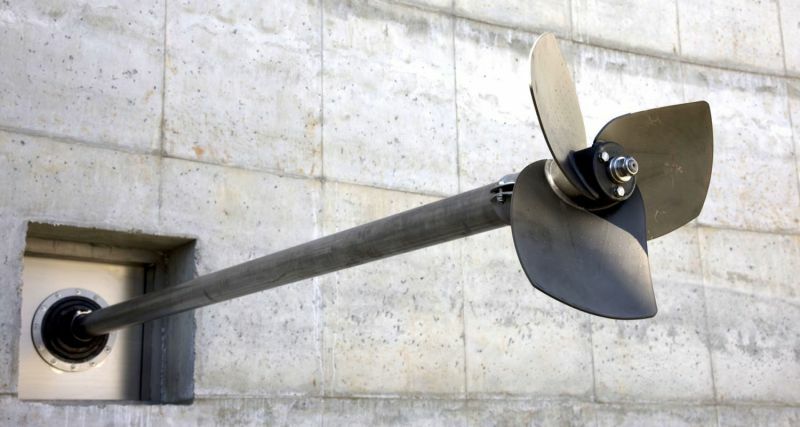 Drive shaft, propeller and sealing plate are made of stainless steel. The JOG mix has been specially designed to optimize the biological process in Digester and after fermenters with almost constant substrate levels. One advantage of the design of the JOG mix is that almost all of maintenance duties can be carried out from the outside, which means that opening the Digester or dismounting the unit is not necessary. 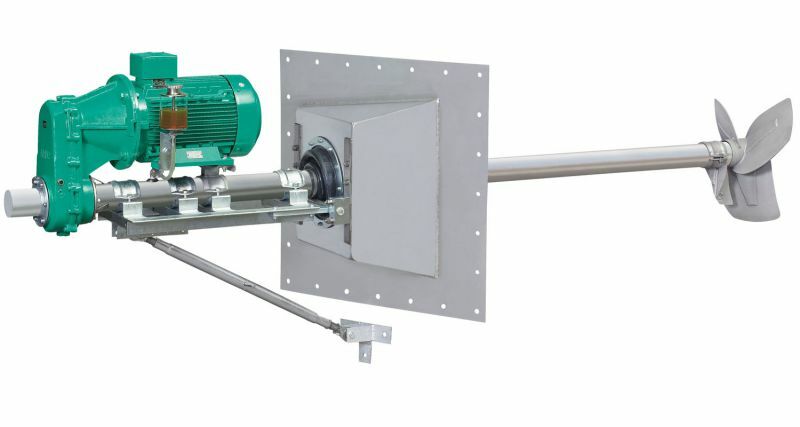 The drive side with the electric motor and transmission is accessible from the outside, only the shaft and propeller are within the fermenter and in an optimal position for thorough mixing.